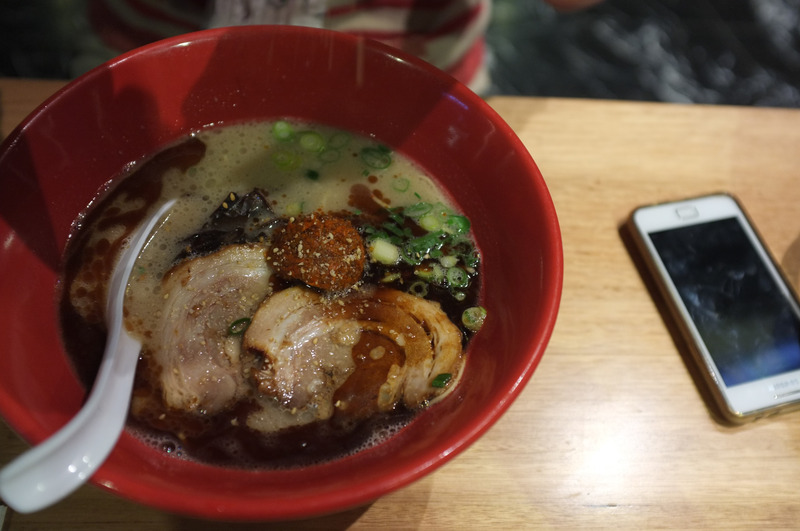 We ducked into Ippudo for a quick dinner after Friday night drinks. 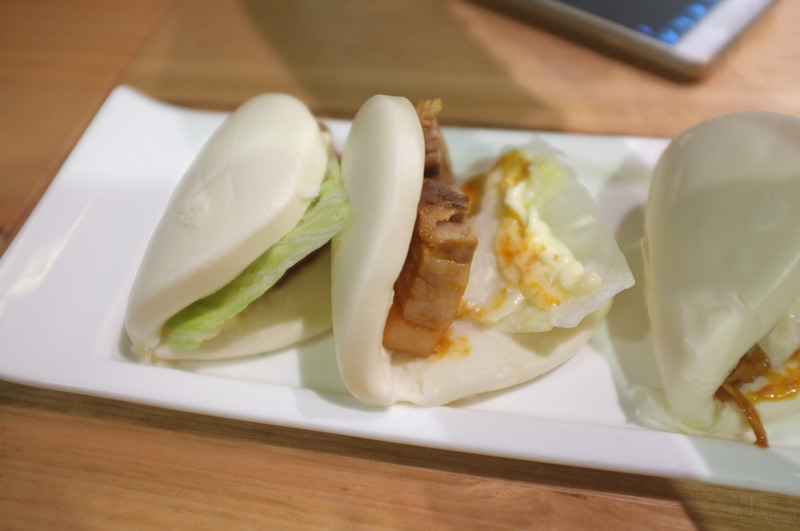 Everyone raves about the pork buns and they are right. They are as good as they say. Soft, pillowy and delicious. The Japanese mayo works well with the moistly cooked piece of pork. There was a dash of chilli as well. Next time we will order 2 or more. I had the original noodles. Small servings for what you pay. The broth was delicious and quite creamy. 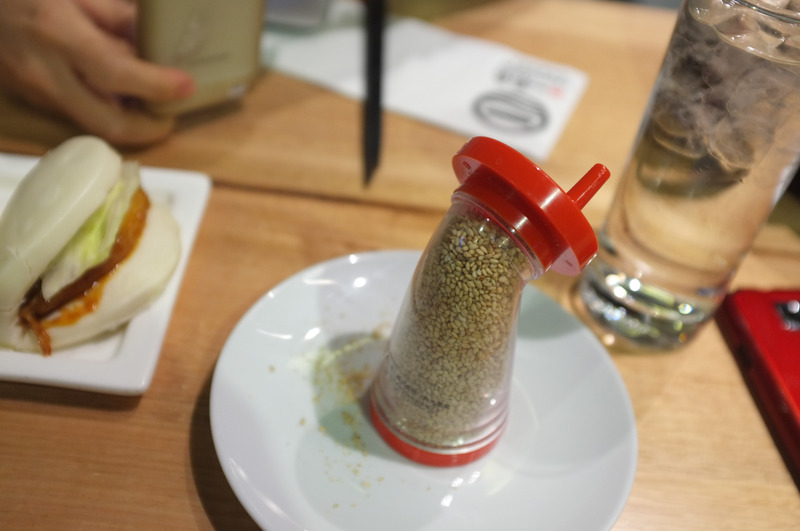 We also tried the red bowl noodles, which has a more modern take. This one is probably more tasty with a more flavoursome broth. 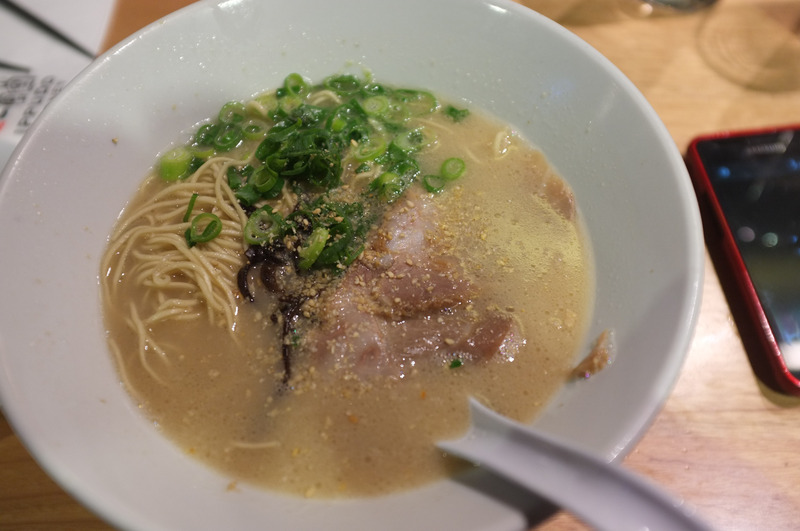 $15 and when if you decide on extra ingredients, you are paying a lot for a small bowl of noodles. One other negative is they do not serve warm tea – very odd. But we will definitely come back for the pork buns, and occasionally the noodles. 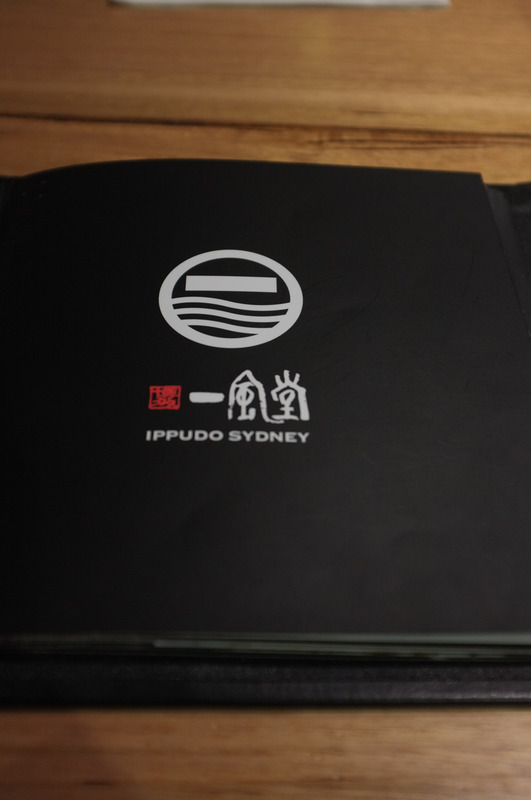 This entry was posted in Dinner, Sydney and tagged Ippudo, noodles by Kevin. Bookmark the permalink.